Home » Website Building » Weebly » How to Create XML Sitemap for Weebly Site? Weebly offers one of the popular website builder for quickly establishing your online presence. Besides the drag and drop site builder, you also have simple ways to do search engine optimization. As part of SEO, every website owner needs to create XML Sitemap and submit to search engines like Google and Bing. This will serve as an index to your site informing search engines about the content update and structure. Therefore, after publishing your Weebly site, the first step you need is to submit XML Sitemap to Google. 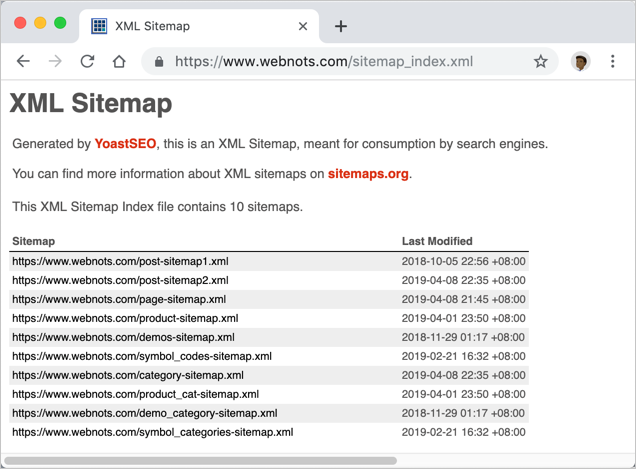 In this article, we will explain how to generate XML Sitemap for Weebly site and submit to Google Search Console. Related: Get your free Weebly SEO guide. The good part is Weebly will automatically generate XML Sitemap when you publish your site. Weebly will also automatically update the Sitemap whenever you publish new content on your site. You can access the Sitemap in browsers like Chrome and check the content. If you have a website name like yoursite.com then you can access the Sitemap on the browser using the URL https://yoursite.com/sitemap.xml. You can use this Sitemap URL for submitting to search engines. This is sufficient for a smaller site having few pages. However, if you have many pages, blog posts and store products then you need to understand the Sitemap content in detail. Let us dive into the structure of Weebly Sitemap to find that! Below is an example Sitemap from Weebly site. In order to compare this, let us take another Sitemap generated using WordPress content management system. You can clearly see the difference between the two Sitemaps though the purpose is same. First thing you can see is that Weebly Sitemap is simply a collection of all URLs on your site. It does not have any styling to show it in an appealing manner. Though it is not required for search engines, you can see this information on top of your Sitemap indicating it is a simple document tree. The XML Sitemap has many components like priority and last modified date. You can read the guide on XML Sitemap to understand more details about the structure. Coming back to Weebly Sitemap, it does not have any priority information. Your home page as well as thank you page on your site are same in the Sitemap treated with equal priority. Missing priority in the Sitemap may not be a problem for intelligent search engines like Google to identify the home and thank you pages. However, you may not be interested in including all the pages in the Sitemap. 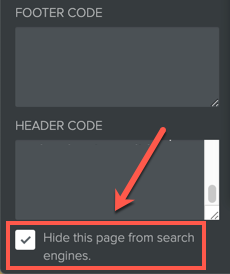 Weebly allows you to exclude pages from the Sitemap by hiding from search engines. Go to Weebly site editor and navigate to “Pages” tab. Select the page you want to hide in Sitemap and go to “SEO Settings”. Scroll down to the bottom of the side panel and check “Hide this page from search engines.” Option. Open the Sitemap and check the page is excluded. However, there are no options in Weebly to exclude individual blog posts and products from Sitemap. As you can see, Weebly combines all the content, blog and product pages in single Sitemap file. When you have hundreds of blog posts and products, this is not much useful to find the information on how many posts or products you have on your own site. The correct way is to create separate XML files for each type of content like page, post and product. Is Weebly Sitemap Not Useful? Being explained the above points, now you might have understood the different requirements in the Sitemap. Yes, Weebly Sitemap is useful for the sites with fewer pages. However, it is definitely not for the bigger sites with blog and store. The point is when you expect search engines to understand the content on the Sitemap; you also should first understand what is in it. Can I Upload My Own Sitemap? Weebly offers services through weebly.com as well as through hosted partners like Bluehost or SiteGround. 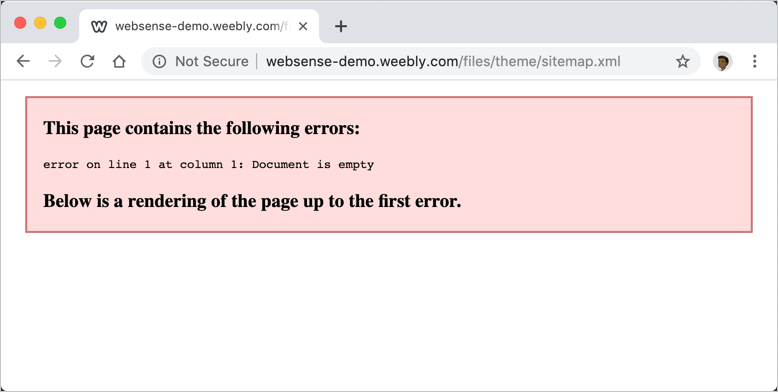 In all the cases, Weebly hosts your website on their server and you have no access to the root of Weebly server. 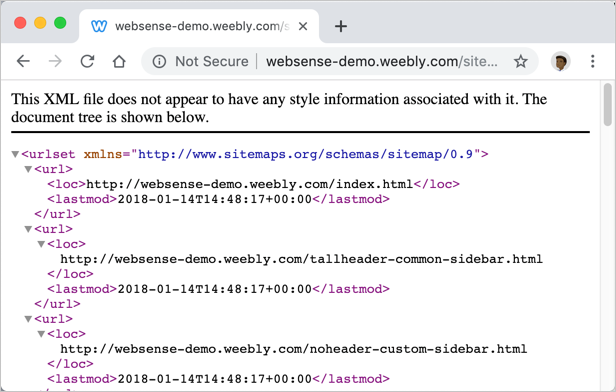 This means you cannot upload custom Sitemap file or modify the existing Weebly Sitemap file. Weebly will not stop you when you upload XML file in code editor. However, when you try to access the file in browser, you will get the following error. So, you have a bigger site and looking for customizing options like Sitemap and other features? It’s a time for you to migrate your Weebly site to WordPress or other powerful platform. You need to have a Pro plan paying $12 per month in order to remove free Weebly footer ad. You can get a shared hosting server for less than $3 from Bluehost and build a highly customizable sites. How to Submit Weebly Sitemap in Google? Follow the below process to submit the Weebly Sitemap to Google. Login to your Google Search Console account. If you do not have one then simply create a Gmail id and login here. Click on the dropdown on the left panel and add your site as a property and verify the ownership. You can learn details of how to add and verify site with Google in this article. After verifying your site ownership, go to “Sitemap” section and submit the Sitemap. Ensure Google can show “Success” in the status. Google also will accept your blog and RSS feed as a Sitemap. However, on Weebly the maximum of number of posts you can display on the blog index page is 25. So if you have less than 25 posts and want to only submit blog posts to Google then it is possible. Your Weebly blog feed URL should be like yoursite.com/blog/feed/. You can submit the feed URL to Google as a Sitemap.